Toyota Car Removals Adelaide pays top cash for all models, years and conditions of Toyota cars. Contact us, and we’ll evaluate your car today. Quotes are quick to obtain and are provided for free, with no compulsion to accept our offer. On or off the market, there are few consumers that would deny the quality of a Toyota. 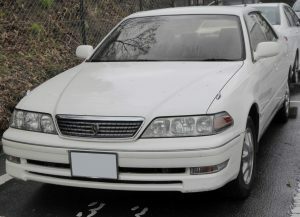 The Japanese automaker manufactures a leading line of vehicles. Car Removal Adelaide pays cash for Toyota cars. We are the car buyer in town that loves to purchase the brand, putting the best cash we can into the sellers’ hands for cars and trucks. The Mitsubishi Crown Royal may be far from the vehicle you drove off the lot, or the Camry may be nothing but scrap metals. With us, you have a buyer for your used Cressida, scrap Sai, wrecked Mark X, or your old Prius. We buy all models of Toyota vehicles of any condition. The hassles of loading up the Isis or Esquire are eliminated when we buy the cars. We are Toyota car removal experts that easily load up your vehicle whatever its condition. The car may be cut in two, and you can still expect a top cash payment and a free Toyota car removal Adelaide when we make you an offer for the vehicle. Get cash for cars removals with us. It’s hard to see your Toyota come to its final days; but, with Scrap Car Removals Adelaide there’s cash to be made with the metals of the cars. We are eco-friendly car recyclers that go green with old, scrap, and badly damaged Toyota cars by recycling the vehicles. With our expertise, you get the best cash for scrap metals. Go green, go car recycling with your old, scrap or damaged car. Call us at 0477 413 136. Why Choose Toyota Car Removals Adelaide? 1. Contact our appraiser for a Toyota car valuation. We provide valuations over the phone and online. 2. Take us up on our offer or reject it. If you’d like to shop around a bit more, feel free to. There is no obligation to accept our cash valuation for the car. 3. Schedule a free car removal, Adelaide. We provide car removals at times convenient for our customers and include the paperwork and cash for the exchange of the Toyota. Instant cash quotes – Have your car evaluated over the phone or online in minutes. Instant cash payment – Count hundreds to thousands of dollars today for the sale of your Toyota to us. Free car removals Adelaide – Have your car removed at a time in your day that is free. Free paperwork – All paperwork is provided by us for an easy transfer of ownership of the car. When ‘We buy cars’, we take care of everything, so you can have a stress-free, quick and convenient car selling experience. To obtain a cash quote for your Toyota, call us at the number below, or fill out our “Get a Quote” form at the top right of this page. With us, there’s no reason to look for another buyer for your Toyota. We’ll buy it today. Call us at 0477 413 136.